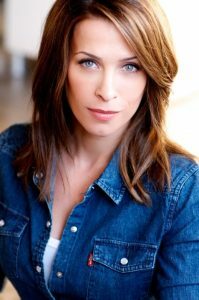 Christina Cox, born July 31, 1971, is a Canadian movie and television actress and stuntwoman best known for her appearances on the 1999 Canadian movie Better Than Chocolate, and the movie The Chronicles of Riddick. As a child, she was very athletic, competing in gymnastics, track and field and taekwondo, and also proficient in boxing, kickboxing and fencing later on. She aspired to become an Olympic gymnast, but gave the dream up to focus on her acting. The youngest of three girls, Christina was born just outside Toronto. She belongs to Caribbean (Jamaican) descent. She has two older sisters, Tracey and Melissa. She has been married to former NFL wide receiver Grant Mattos since 2011. They have a daughter, Flynn. *She studied theatre and dance at the Arts York at Unionville High School. *As a child, she played soccer and aspired to become an Olympic gymnast. *She was nominated for a Gemini Award for her work in F/X: The Series. *She was the stunt woman for Hilary Swank in Million Dollar Baby. *Follow Christina on Twitter and Instagram.